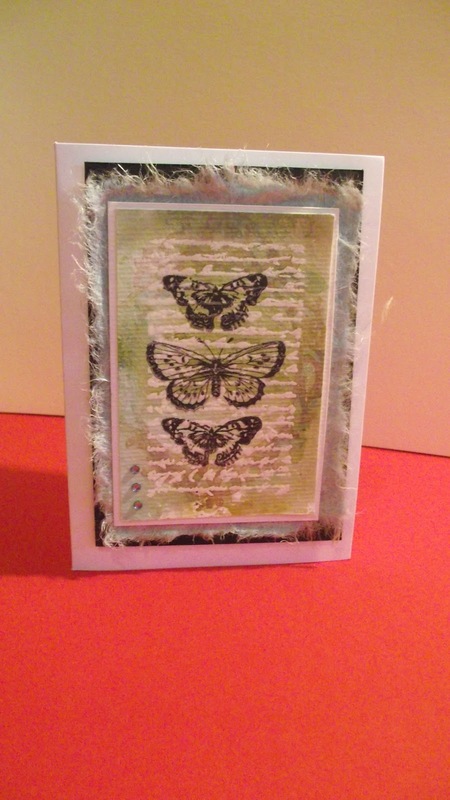 Here is my first Hero Arts entry for March 2011 for a layered background card! 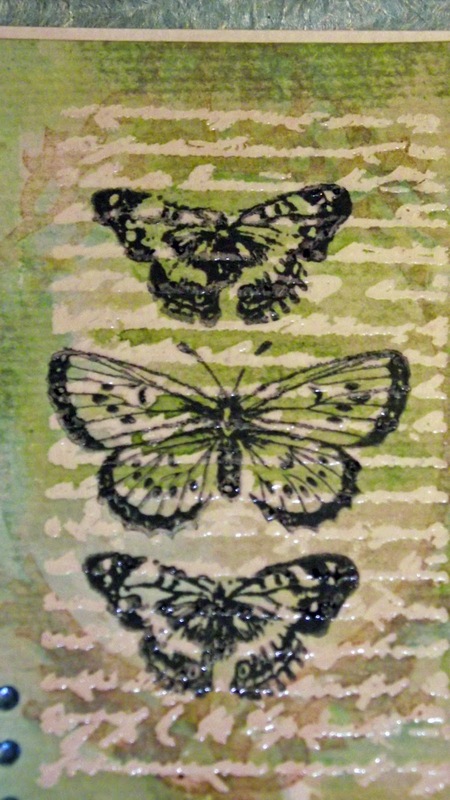 I have used Ranger Distress Inks in Tumbled Glass, Broken China, Forest Green and Pumice Stone to create the background and stamped over this with Versamark and White Embossing powder. 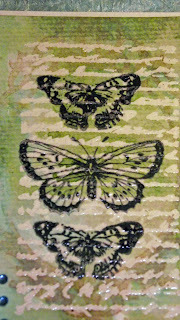 The butterfly details is from some acrylic stamps I've had for a long time from Prima and hadn't gotten round to using yet. The whole thing is framed with an "antique" style stamp from the same Prima stampset using Ranger Pumice Stone.